In April, 1916, the Bradwall Training School (formerly known as Bradwall Reformatory) at Sandbach opened an annexe at the former Agricultural College on the Macclesfield Road at Holmes Chapel. This followed a request from the Home Office in response to an increased demand for Reformatory places in the area. 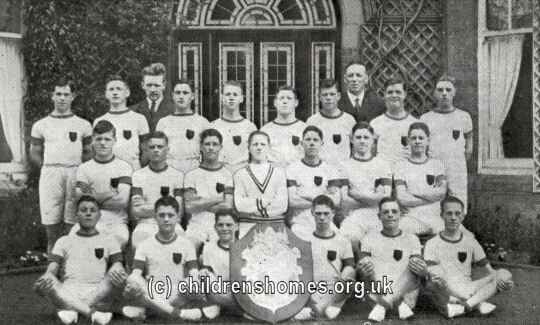 The senior boys were accommodated at the Holmes Chapel site where the School's Superintendent since 1913, Mr H.S.C. Rees, also resided. The junior boys were housed at the Bradwall site under the charge of the Deputy Superintendent. Bradwall School site, Holmes Chapel, c.1909. On October 21st, 1920, the School transferred all its operations to Holmes Chapel where alterations were made to the buildings and staff houses built. By the 1920s, the School generated its own electricity for light and power. 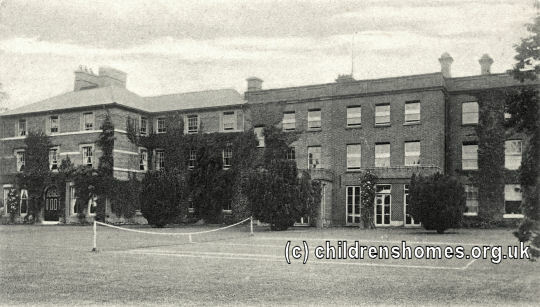 The new establishment was initially known as The Training School, Holmes Chapel, but in 1925 was renamed Saltersford School — the premises having originally been called Saltersford Hall. 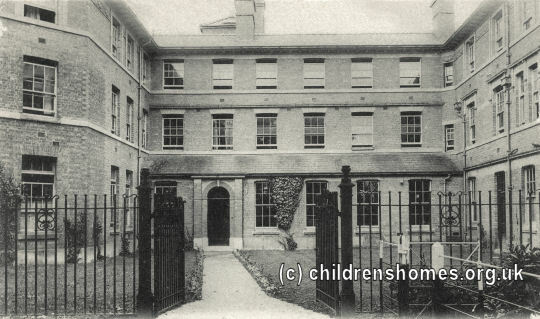 The Saltersford institution could accommodate 125 boys, aged from 12 to 16, who had been committed by the courts. 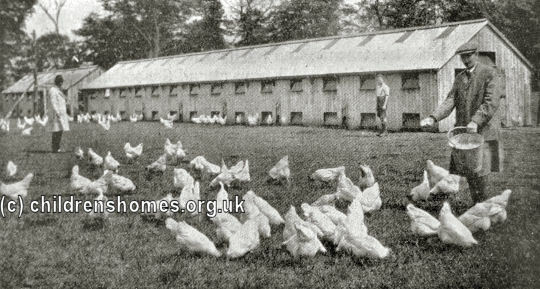 As previously at the Sandbach site, the boys received training in agricultural activities on the School's eighty-seven acres of farmland which included an up-to-date poultry farm. Seven acres of gardens included numerous glass houses where the produce included tomatoes, grapes and peaches. Flowers were grown extensively and wreaths could be made at short notice. The School also ran a milk delivery round operated by the boys. The training prepared boys for farm situations and also emigration to the Colonies. As well as farm work, the boys learned tailoring and made and repaired much of the institution's clothing. Shoemaking, carpentry, painting and decorating were also taught. Physical exercise formed an important part of the Saltersford routine and the School's PT team was regularly successful in competitive events. Its PT squad were Great Britain champions in 1929. Football, cricket and tennis were also played and the School's recreation room included billiard and table-tennis tables. A wireless set allowed the boys to listen to lectures and entertainments, nand concerts, cinema shows and lantern lectures were frequently held in the winter months. 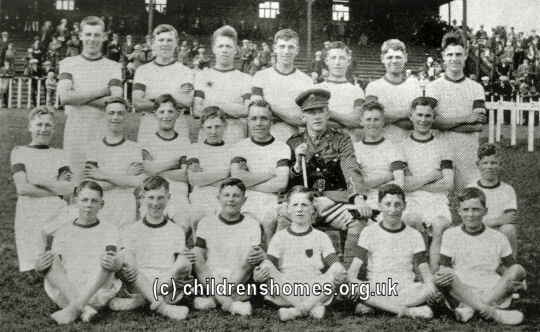 All boys at the school became members of its Cadet Corps which had been formed in 1917. 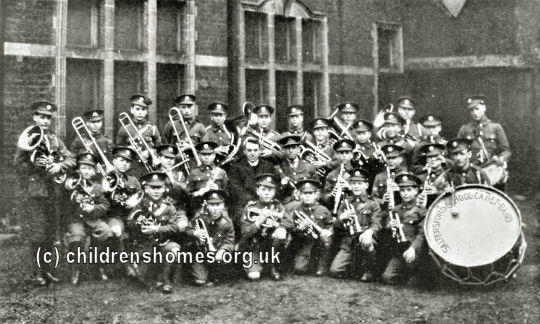 After a period as a recruit, each boy passed into a platoon or the band. Each platoon consisted of four sections of five and a sergeant, with the platoons arranged according to size and age. The sections were kept together in the dining hall, dormitories and on parades and a spirit of competition was encouraged between them. Each year, the Corps went to Blackpool for a fortnight's camp under canvas. 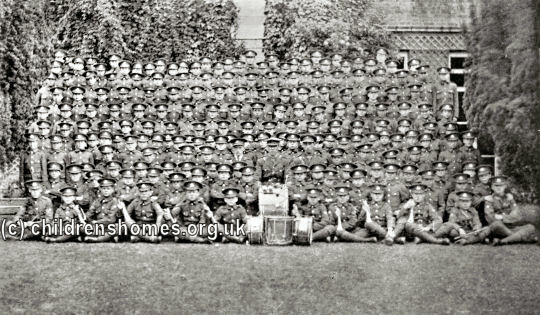 With their experience of military-style living, a number of boys from the School went on to join the forces. Boys with musical talents could develop them in the band which also performed at events in the area. 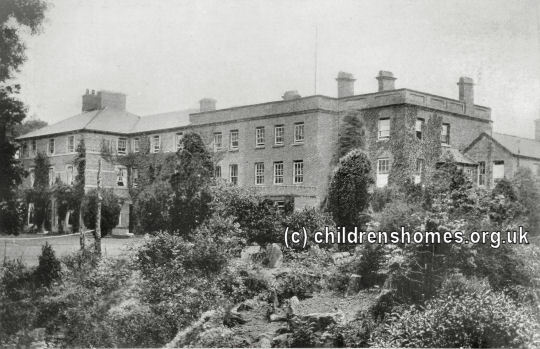 In around 1933, Saltersford became one of the first establishments to be redesignated as one of the new Approved Schools introduced by the Children and Young Persons Act to replace the former Reformatories and Industrial Schools. It then housed up to 135 boys aged 13 to 15. Over the years, a number of violent incidents took place at the School. In 1934, seventeen-year-old Arthur Hemmings was found dead in the School's pumping house apparently having been strangled by a rope. The rope was not tied and it was thought the death was accidental. In 1949, two inmates named Joseph Green (17) and Ronald Ford (18) were charged with grievous bodily harm against another boy, William Pearson, by pouring turpentine over his legs and setting it on fire. The School finally closed on 31st December, 1954. Cheshire Archives and Local Studies, Cheshire Record Office, Duke Street, Chester, Cheshire CH1 1RL. Holdings include: Managers' minutes (1887-1922); School rules (19-20th centuries); Inspection reports (1889-1912); Various printed material (Sports programmes, reports, registers of Probation Officers, and a history of the school); Photographs. The National Archives, Kew, Richmond, Surrey, TW9 4DU. Holdings: Return of juvenile offenders committed (1919-32); Admissions register (1855-86, 1948-54); Discharge and licence register (1913-50).